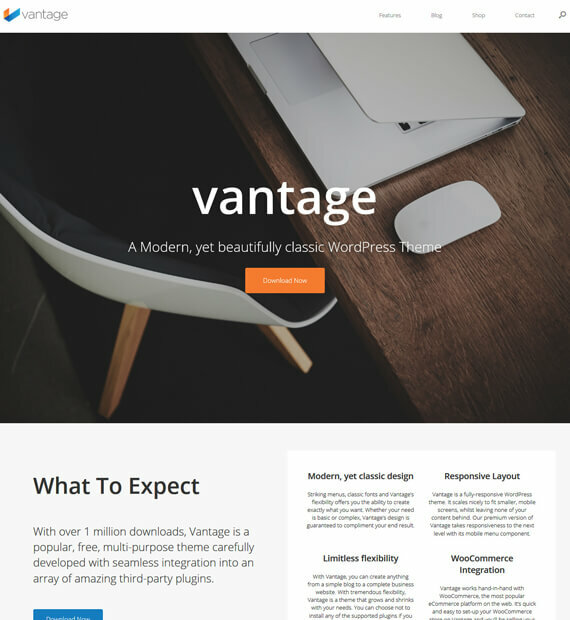 A flexible and multipurpose theme, Vantage as the name says it gives all the advantages of a premium theme.The tightly integrated powerful plugins like the Page Builder makes the experience of creating the perfect site extremely easy. Best suited for business and portfolio site, the multi-purpose layouts can be used to create any type of site that you wish! Features like fully responsive and retina ready layouts make sure that with this theme your site looks stunning no matter what!